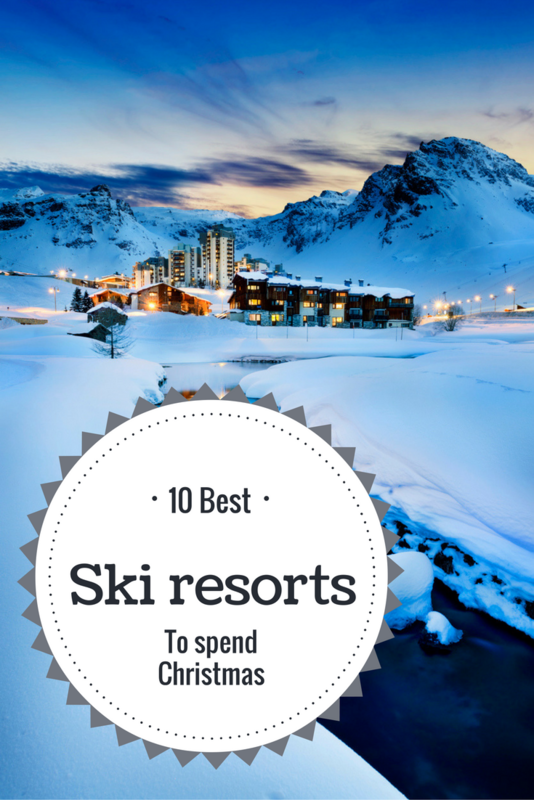 Best Ski Resorts in Europe to Spend Christmas on the Slopes. Are you dreaming of a white Christmas? We pick 10 winter wonderlands that will make even the most stubborn of Scrooge’s feel festive! 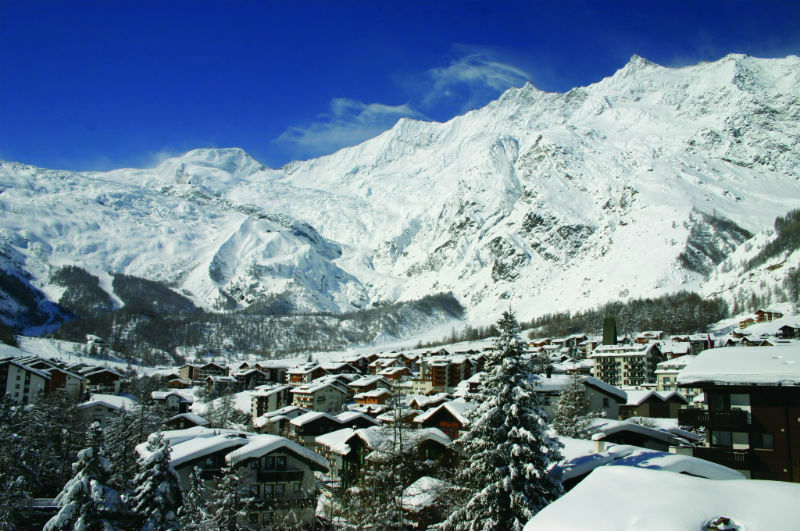 There’s an easy way to guarantee a white Christmas – and that’s to head to the snowy slopes of a European ski resort. Just picture the snow falling heavily outside on Christmas Eve as you get comfy inside a cosy chalet, warmed by a roaring fire and a glass of fine wine – ah bliss! Whether you’re skiing, snowboarding or simply fancy a relaxing holiday in a chocolate-box Alpine village, there’s nothing like being in the mountains for Christmas. With that in mind, we’ve picked our favourite festive ski resorts where you’re sure to find some authentic Christmas cheer. Megeve has a Dickensian style Christmas atmosphere thanks to its cobbled streets, horse-drawn carriages, open air ice rink and enormous Christmas tree featuring twinkling lights and Swarovski crystal decorations. A medieval town at the base of Mont Blanc, this picturesque resort boasts plenty of lip-smacking restaurants, including the three-Michelin-starred Flocons de Sel. Remember the English band Wham from the 1980s and their yuletide hit Last Christmas? That was filmed here in this eye-wateringly beautiful Swiss ski resort – and it’s not hard to see why the band chose to film their Christmas classic here. Old worldly, quaint and traffic free, this village celebrates Christmas in true traditional style, with carol singing, fondue parties and night-time sleigh rides. What’s more, you can soak up the après-ski in the award-winning Popcorn bar, feast in the world’s highest revolving restaurant at Threes!xty and visit an enormous ice grotto carved into a glacier. A magical medieval old town set amidst snow-covered mountains, a stunning lake and an epic glacier. Zell am See has perfected the art of celebrating Christmas thanks in part to an enchanting festive market that’s open during the weekends of December. Featuring more than 20 candlelit wooden huts, you’ll be seduced by the smells of delicious mulled wine and freshly baked Christmas treats, while the live music, gorgeous handmade gifts and carol singing will leave you feeling like you’re in Christmas heaven. And to top it all off, you can ice skate on the lake! On December 25th the locals also stage a special event, where a Christmas tree is sunk into the lake, before being brought back to the surface by divers in an elaborate ceremony. This strikingly beautiful resort has won awards for being Austria’s “Most Beautiful Village”, Europe’s “Most Beautiful Flower Village” and having the “Purest Air” in the country. Over the Christmas period the resort is lavishly draped with festive decorations, presents are given out on Christmas Eve and real candles are put in the trees. Add some sensational mountain views, horse drawn sleigh rides and night time skiing to this heady mix and you can see why Alpbach is a firm favourite at this time of year. Furthermore, most restaurants offer delicious festive menus so you can experience the taste of an Austrian Christmas – and it goes without saying that there’s an abundance of carol singers. Nestled between Lake Geneva and Mont Blanc, Les Gets boasts plenty of cosy mountain restaurants and bars, sleigh rides, a huge choice of accommodation and what some say is the best Christmas spirit in France. Known as one of the most family-friendly resorts in the country, attractions include a mechanical music museum, a chocolatier workshop and a train ride to Santa’s workshop where you get a guided tour by the elves themselves. And keep your eyes peeled for Santa around the resort as he often leaves his grotto to make appearances in the village and on the slopes. Quaint little shops, cobbled streets, carol singers, bright Christmas lights and a devilishly popular Christmas market – yes, Kitzbühel has all the essential ingredients for a quintessential Christmas on the slopes. The 800-year-old town boasts a charming historic centre that is transformed into a festive scene from a traditional Christmas card as soon as the snow starts falling. And ski and snowboard aficionados will be pleased to hear that Kitzbühel has won the prestigious “World’s Best Ski Area” award three times now! During December a number of festive events are organised including a visit by Santa Claus, evening torchlight walks and nativity performances. If you’re looking for plenty of snow this Christmas, Tignes is a safe bet as it is one of France’s most dependable winter resorts. Christmas kicks off at the beginning of December when the lights are switched on – accompanied by the delicious aroma of mulled wine and the sounds of festive music of course. After that you can expect to see concerts, live bands and festive menus in the local restaurants in the run up to the big day. Christmas Eve is celebrated with street parades, a carol concert and a visit from none other than Santa Claus. But for many, the best part of a yuletide trip to Tignes is being able to ski down the slopes on Christmas Day – just don’t forget to bring your Santa hat! Alternatively, why not step into Christmas at Madonna di Campiglio? This snow globe perfect resort is watched over silently by the snowy peaks of the Brenta Dolomites and comes alive at this special time of year. Fairy lights are draped liberally all over town and a Christmas market packed with delicious festive nibbles, live music and entertainment, runs throughout December. Other festive activities include husky sledding and ice skating on the open-air rink. The traditional Christmas slalom at the Canalone Miramonti run, which has been going for more than 20 years now, is great fun to watch and will help you get into the festive spirit. Nothing quite says it’s Christmas more than waking up in a traditional chalet and being greeted by a blanket of pristine white snow outside. Christmas fans will enjoy a week long “Enchanted Christmas” event either side of December 25th, which includes live shows, giant floodlit snow sculptures and a visit from Santa. On Christmas Day, don’t miss the French National Ski School’s Christmas Spectacular, which is followed by an impressive fireworks display that lights up the sky. Europe’s most southern ski resort is an unlikely setting for a white Christmas – but due to its high altitude, the Sierra Nevada is blessed with an abundance of snow at this time of year. The central village is packed with lively bars and restaurants, and offers stunning views of the surrounding mountains and the city of Granada in the distance. In Spain, they celebrate Christmas Day on January 6, where instead of Santa bringing the presents, the Three Kings hold burning torches aloft and ski down the mountain into the village to dish out gifts. Anyone else humming Christmas songs in their head now? We are! If you know of any great resorts that really know how to celebrate Christmas, then let us know on our Facebook page! 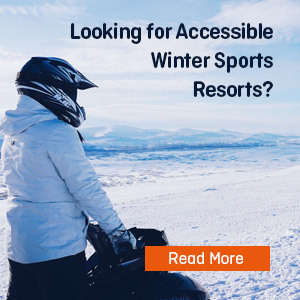 Are you looking to hit the slopes on your next holiday (and are you insured for those winter sports)? Why not browse the latest offers on our new travel website or call one of our specialists free on 0800 033 4902 to book your perfect getaway.